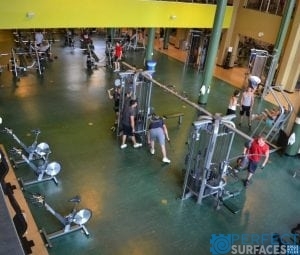 Gator ~ Zip Tile rubber flooring is your answer to any special purpose or fitness flooring needs. 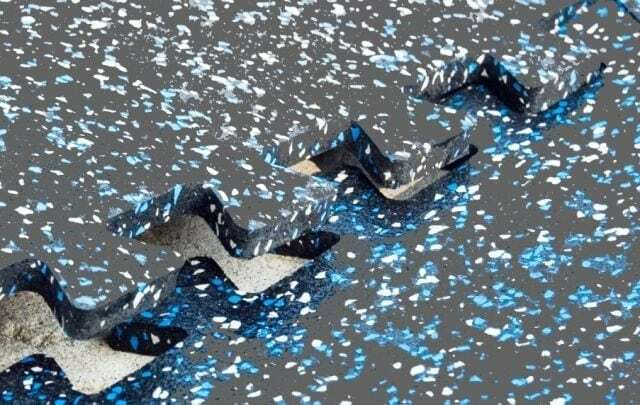 Its resourceful and multipurpose design allows for the easiest installation process on the market while providing a safe, secure, resilient rubber flooring option. It is time to forget the need for expensive adhesive, tape, labour, and maintenance. Combine outstanding appearance and ruggedness to create your perfect flooring project. Gator ~ Zip Tile is environmentally friendly rubber flooring composed completely of premium recycled scrap tires. 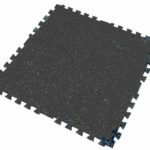 Gator ~ Zip Tile rubber matting offers superior durability suitable for both indoor and outdoor applications. Gator ~ Zip Tile interlocking mats are ready to be installed over any smooth surface including concrete, asphalt, wood, or tile. 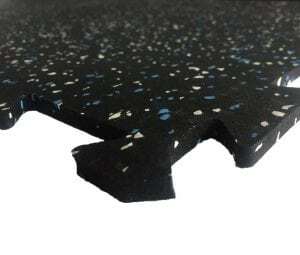 Gator ~ Zip Tile athletic rubber flooring features unique interlocking tabs that allow for a loose lay installation requiring no expensive glue or tape: Save Time and Money. 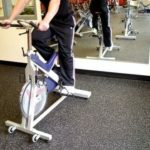 Gator ~ Zip Tile fitness flooring offers a non-slip surface, even when wet, making it easy to clean and maintain. Indoor cleaning involves a broom, mop, or vacuum cleaner. Outdoor cleaning involves a water hose, leaf blower, or broom. Gator ~ Zip Tile puzzle mats can be disassembled and reassembled time and time again without damaging the tiles. Its simple shape permits easy handling and storage. Gator ~ Zip Tile interlocking rubber floors distinctive design allows for square or brick installation patterns. 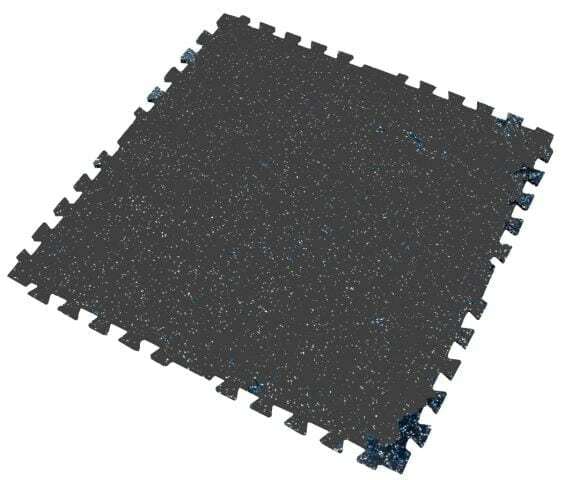 Gator ~ Zip Tile rubber mats installation process ensures that seams are virtually non-visible. 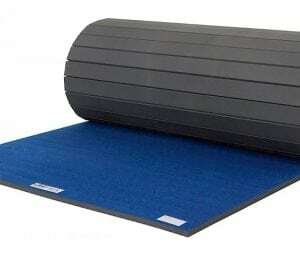 Gator ~ Zip Tile fitness mats are available in standard black or speckled with a variety of color options to create an aesthetically pleasing environment. 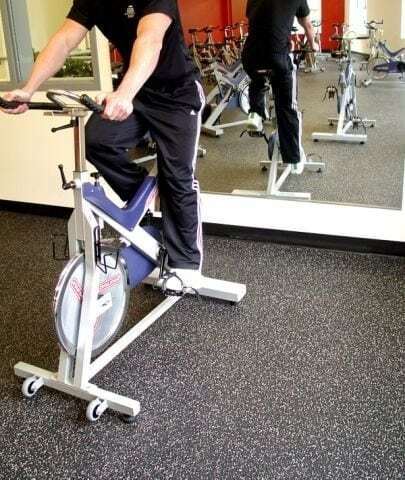 Gator ~ Zip Tile floor rubber is shock and sound absorbing and offers anti-fatigue properties.